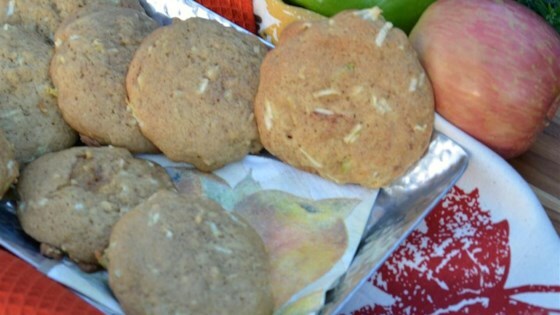 "I created this simple cookie recipe using similar ingredients as apple pie. I wanted the taste of my apple pie without the hassle of it. They came out delicious!" Sift flour, cornstarch, baking soda, and baking powder together in a bowl. Mix brown sugar and egg together in a bowl; stir in apples, cinnamon, and cloves. Blend softened butter into the apple mixture with a fork. Slowly stir flower mixture into the apple mixture until combined. Spoon batter onto a baking sheet. Bake in the preheated oven until lightly brown, about 12 minutes. Add more spice and glaze, very good.